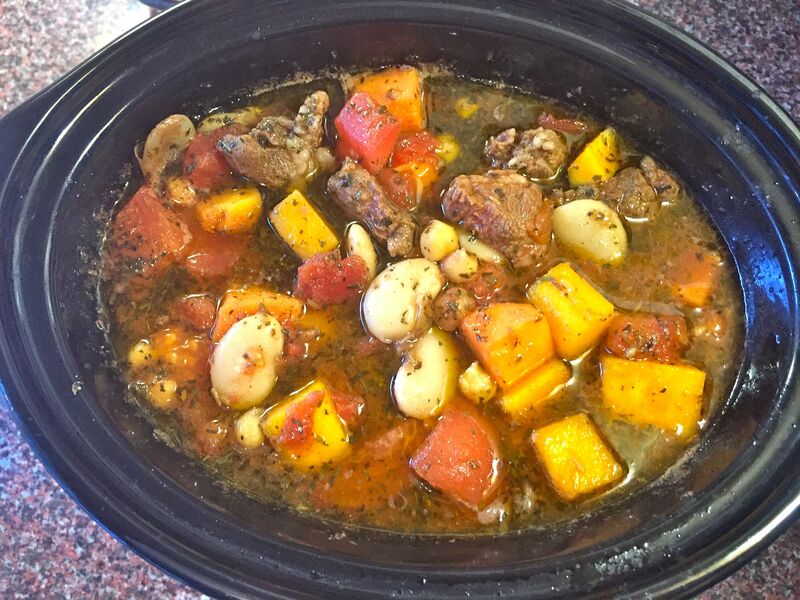 I made this wonderfully aromatic lamb stew in my slow cooker for two – a much-loved appliance in my kitchen. You could, of course, do it in the oven, too, just keep the temperature on low (around 120C) and check that the stew doesn’t get too dry…add more stock if you need to. Rubbing the spices thoroughly through the lamb before cooking adds an exotic flavour to the meat and the lovely brothy sauce. 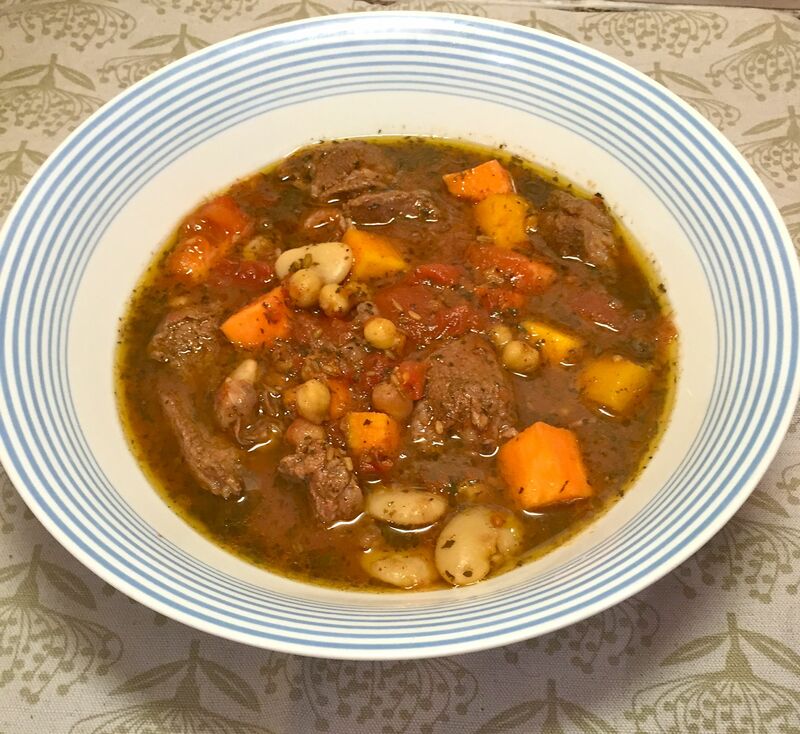 Healthy, delicious, quick and easy to make, this stew freezes beautifully, too. Grind all the rub ingredients together using a mortar and pestle. Add the lamb pieces and mix well so they are thoroughly coated with the spices. Heat the slow cooker to high and pour in 1 tbsp vegetable oil. When it’s heated, add the lamb and stir, coating with the oil. Put the lid back on the slow cooker and let the lamb slowly brown for about 15 mins. Add the stock, tomatoes, cinnamon stick and chillis. Replace the lid and cook for 1 1/2 hours on low. Then add the chickpeas, beans, butternut and sweet potato and cook for another 1 hour. You brown the lamb in the stoneware pot of the slow cooker? What a great idea, why have I never thought of that? Saves on washing up the frying pan! Indeed Jane! It doesn’t get mega hot as you know but it works to brown it slightly and means all the juices from the browning are in the pot, too. Give it a try and tell me what you think.